Tuesday, January 17, 2017 Filed Under: Film | Why Did I Watch That? There aren’t lot of disaster movies made every year. And that might be because, regardless of year. there aren’t really that many good ones. They are big, expensive, and prone to complete critical evisceration. 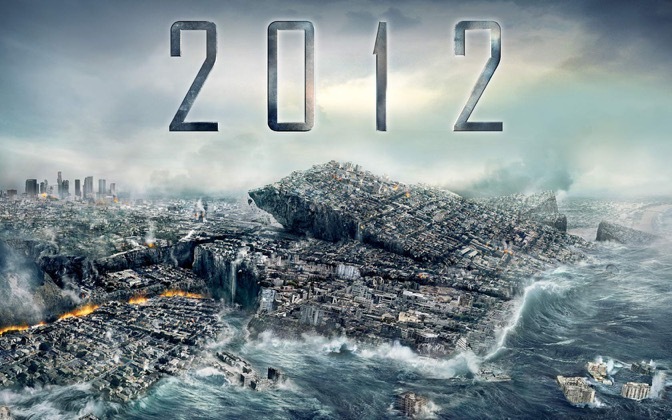 However, that didn’t stop 2012 from being made. Although if it had, we would all probably be better off. It stars former heartthrob John Cusack as novelist turned chauffeur as he desperately tries to survive the oft-predicted apocalypse of 2012 while simultaneously saving his family from an improbable amount of falling objects.